Ahhh adventure games, point 'n' click adventure games in particular, are one of my favourite genres in PC gaming. So while I'm always excited to see a weekend sale on games, I especially get interested when there's one on adventure games, especially point 'n' click adventures. That's exactly what GOG are doing this weekend giving up to 90% off 23 of its adventure games (although the number is probably higher than that since a couple of "games" are actually bundles of games). Since I am such a fan though, unfortunately many of the games that are on sale, I already own (first world problems). There are a lot of Telltale adventures here like Back to the Future, Tales of Monkey Island and the Sam & Max games as well as some non-Telltale games like the Simon the Sorcerer series and Tex Murphy series. What I'm probably most interested in though are the bunch of retro, point 'n' click adventures developed using Adventure Game Studio, which are often published or even developed by Wadjet Eye Games, such as The Blackwell Series, The Shivah, Gemini Rue, Resonance, Primordia and A Golden Wake. The last one is the only one out of that list of games that I don't have so I've just got to finish the collection :) and at 70% off for A Golden Wake, that's not a bad deal. All for under $10 :)! 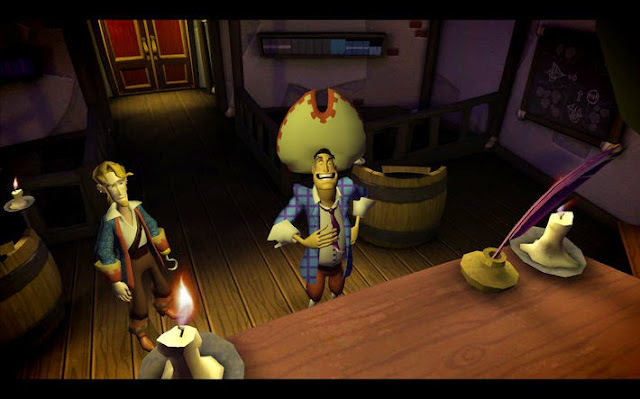 It should give you a good taste of some quality retro point 'n' click adventure games published by Wadjet Eye Games as well as what is basically the 5th entry to the Monkey Island saga (might help to have played the previous four though, and don't ask me how you can get a copy of Curse of Monkey Island or Escape from Monkey Island)!